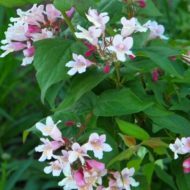 Home / All BambooPlants.ca / Kolkwitzia amabilis ‘Pink Cloud’. 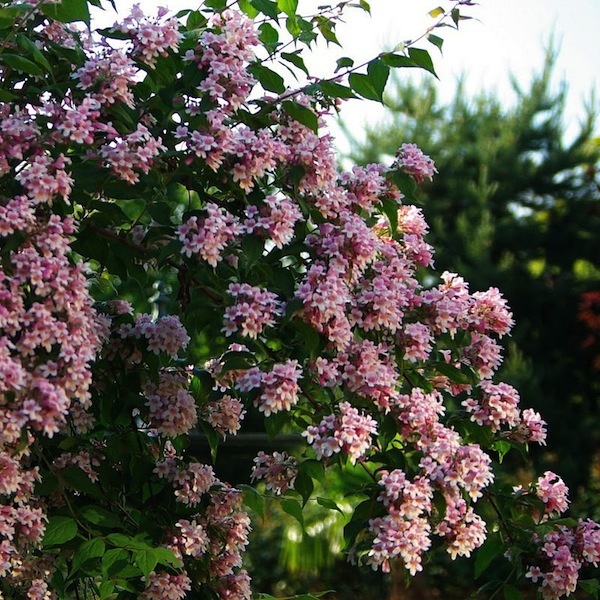 Beautybush ‘Pink Cloud’ is grown for its bell-shaped flowers. 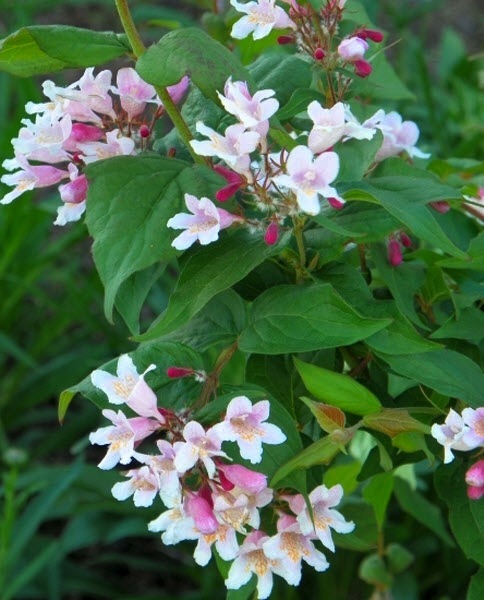 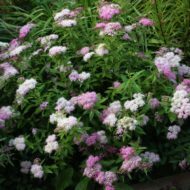 It has green foliage, and pink and white flowers that grow in neat clusters and bloom in April and May. 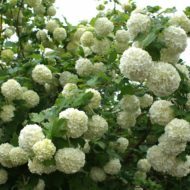 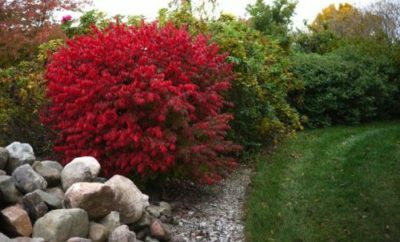 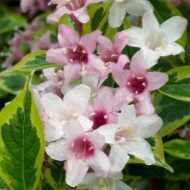 This deciduous shrub grows to 10 ft in height and width, and works well as a specimen or hedge. 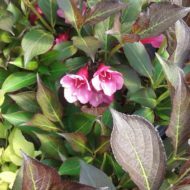 Native to China.